– How are we doing? – How do we know? 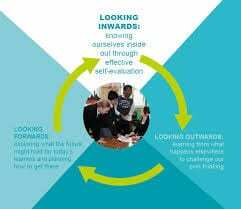 Through this approach we are continually looking inwards to analyse our work, looking outwards to find out more about what is working well for others locally and nationally and looking forwards to gauge what continuous improvement might look like in the longer term. How good is our school? supports us to look inwards to evaluate performance at every level and in using the information gathered to decide on what needs to be done to improve. This document provides an overview of our Pupil Equity Funding and how we are making use of our Cost of the School Day funding for Session 2018/2019. Our SQIP has been largely informed by our local neighbourhood plan. A copy of this can be found by clicking here: DalkeithWoodburnNeighbourhoodProfile June 18-28ekayy .